As we’ve mentioned quite often in our articles, your credit report is one of the most important indicators of financial health. 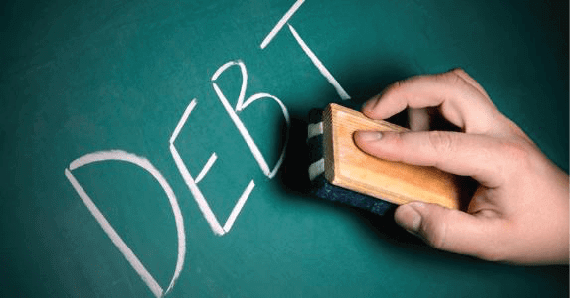 Managing your debt well and being a good paymaster goes hand in hand after all. However, just like many other financial matters we hear about more often than we deal with, there can be plenty of misconceptions, hearsay, and straight up myths about credit reporting. To shed some light on this topic, we thought it would be good to debunk some common, persistent misconceptions about your credit report. We understand why this is one of the more popular beliefs out there, but it is a mistaken one. To gain a better understanding on what shows up as ‘good’ or ‘bad’ in your report, it’s important to first know what information your credit report contains. The full MyCTOS Score report will contain the following information and more: identity verification particulars, directorship and business interests, litigation and legal information, banking payment history (CCRIS summary, details and derivatives), dishonoured cheques, address records and trade reference details. So, as an example, if an individual is being sued, this information would show up in the credit report but for a person who has no legal proceeding against him or her, this section of the credit report would be ‘clean’. In fact, many records on your credit report can work in your favour (such as your credit card repayment pattern), as these show that you have a credit history and have been approved by banks or lenders for credit facilities. By ensuring good and responsible payment behavior, records on your credit report can continue to benefit you by proving you’re a good paymaster. Paying off your old debts can improve your credit health significantly. However, that doesn’t mean that the old record of it will be erased immediately. Bank Negara Malaysia’s (BNM) CCRIS records maintain 12 months of payment history to see your repayment behavior trend. For instance, if you’ve missed a few consecutive credit card repayments, these will show up in your credit report, flagged in red. However, if you start settling the monthly payments for the same credit card on time every month, the missed payment records will gradually clear out of the report. Generally, it takes a minimum of 6 months of consistent repayment behavior for your credit score (and therefore, credit standing) to improve. If you can show that your credit behavior has changed for the better, banks and lenders are more likely to approve your loan applications or extend credit to you. A low credit score is not a permanent situation. If you think you may not have good credit, the first thing you should do is obtain your full credit report with your credit score, such as the MyCTOS Score report. Doing this will give you a clear idea of how your creditworthiness stands. What you should do next is take corrective action and start fixing your credit health. Start by settling any missed payments from the past, then maintaining good payment behavior by paying your credit obligations on time consistently. Only apply for the amount of credit that you really need and can afford to repay comfortably on a monthly basis, without having to struggle to make ends meet. Doing this steadily will improve your credit score and credit report over time. 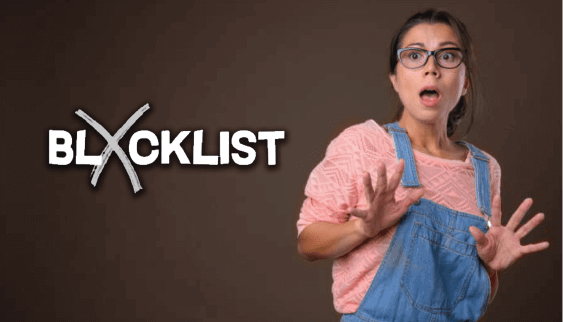 4. Credit Reporting Agencies Can “Blacklist” You? Credit Reporting Agencies (CRAs) are regulated by the government and do not blacklist anyone. As a registered CRA, CTOS merely collect and compile data available from legitimate public sources, such as newspapers (legal proceedings, bankruptcy notices and litigation records) and authorised government agencies. Banks and lenders use the information in credit reports as a guide to determine a customer’s creditworthiness. Banks and lenders have their own set of internal policies when it comes to making decisions about extending credit and loan approval. An application rejected by one may be acceptable to another, depending on the risk appetite of the bank or lender. Obtaining your credit report is more easy and affordable than you may think. The price you pay to get your full credit report with credit score is a small one, especially once you factor in the hassle, time, hidden costs and effort you save in trying to collect the same amount of information from various different sources. The most convenient way to get your full MyCTOS Score report is to visit the CTOS website and sign up for a CTOS User ID online (or via the mobile app – available on App Store and Google Play), or visit to our CTOS Service Centres. CTOS is a credit reporting agency that helps to compile and provide credit information in Malaysia. It offers the MyCTOS Score report – a comprehensive credit report that can help you understand your credit health better and help identify the areas you need to work on to improve your creditworthiness. A MyCTOS Score report contains your personal details, CCRIS records, directorships, legal action records, the number of times you’ve been searched, as well as your CTOS Score – a credit score that ranges between 300 (lowest) and 850 (highest). The higher the score, the lower the credit risk.